I’ve had lower back problems for the past 3-4 years. Over time, the pain kept getting worse and worse (shooting pain through my lower back and legs) until I couldn’t even walk standing straight. In February of 2013 I started using crutches just so I could get around. Basically everything. I’ve been a building contractor all my life. It’s physical work and my back pain really prevented me from doing a lot of day-to-day tasks. It was difficult to pull myself up from my knees or sitting down. I couldn’t get into my fishing boat, or sleep more than 3 hours a night. It got to the point where I was seriously considering selling my house and getting another with wheelchair accessibility. I’d been doing physical therapy for a while to try and resolve my lower back pain. Eventually my physical therapist told me that there was nothing else he could do for me, and that I needed to consider surgery. 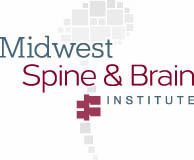 My wife’s friend works at Midwest Spine & Brain Institute, so that’s how I connected with Dr. Sinicropi. He was the first surgeon I spoke to who said he knew what was wrong and he knew how to fix it. Laminectomy on 3 vertebrae in my lower back. 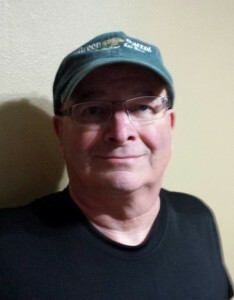 Other than the post-surgical pain (which is normal), I have none of my original pain. The sharp pain in my legs and lower back is gone. I feel better than I’ve felt in 4 years. 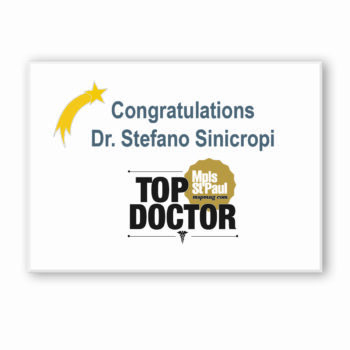 I strongly recommend Dr. Sinicropi to anyone struggling with back pain that won’t get better with physical therapy. 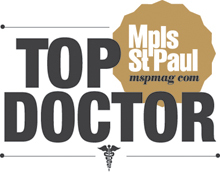 I have already talked to two friends about Dr. Sinicropi, and will recommend him to many more.